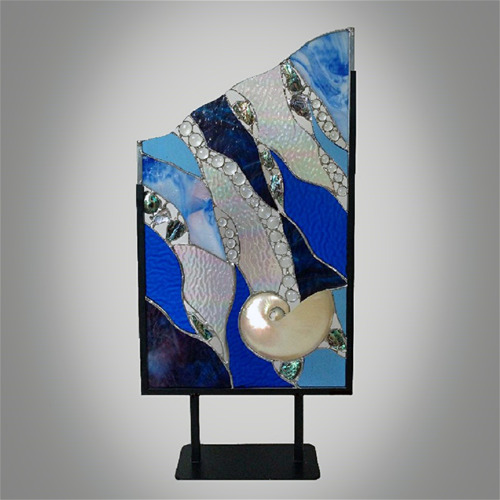 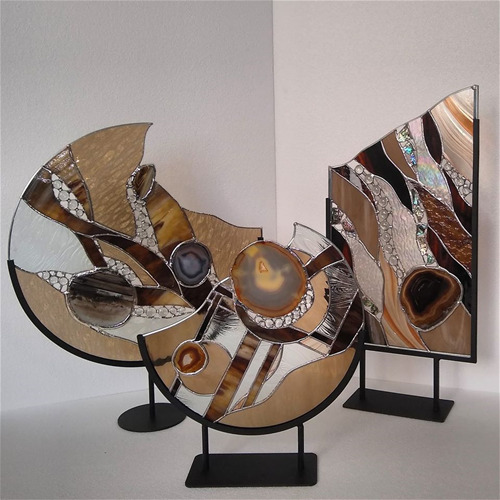 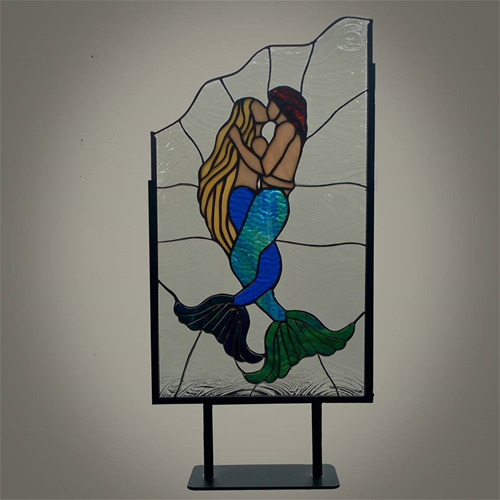 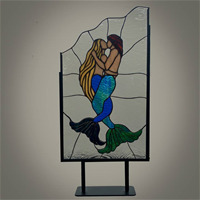 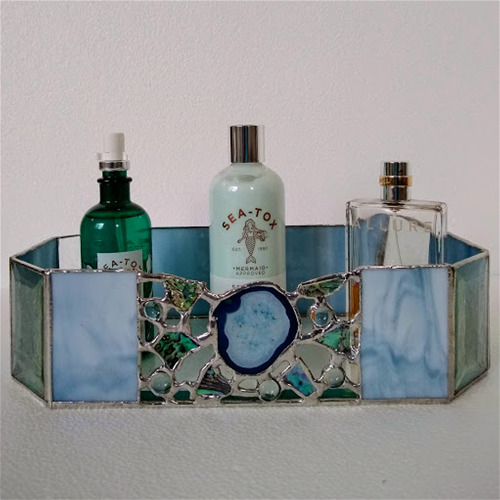 Stained glass art offset with Nautilus and Jewelry quality Paua in gallery stands for table tops, candles, bookends, panels and sun catchers. 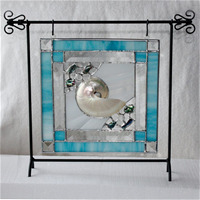 All gallery stands are also American Made. 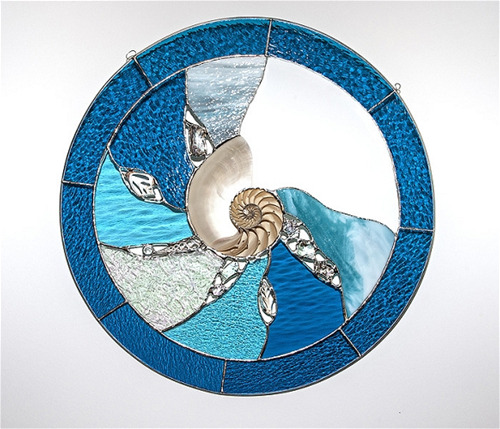 Nature's Brilliance is made with hand cut textured glass. It is then ground, wrapped in copper foil & soldered together. 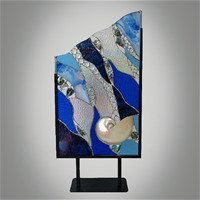 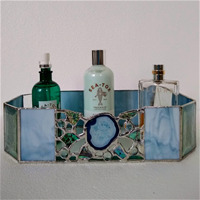 It is accented by Agates , jewelry quality Paua from New Zealand & assorted glass nuggets. 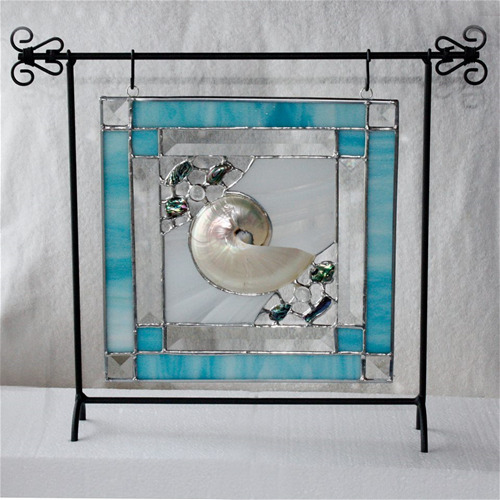 They are displayed in a wrought iron stand. 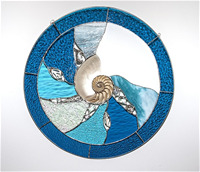 The piece is available in the Brown tones seen here as well as aqua, grey and blue hues.